Ah, the sparkle never ends! As I type this, more and more people are spending nights with cheers and Christmas parties. If you're like me, I like Christmas most times, and I like tinkering with things that glisten and twinkle this season. Check out this collection from Smashbox, called On the Rocks! 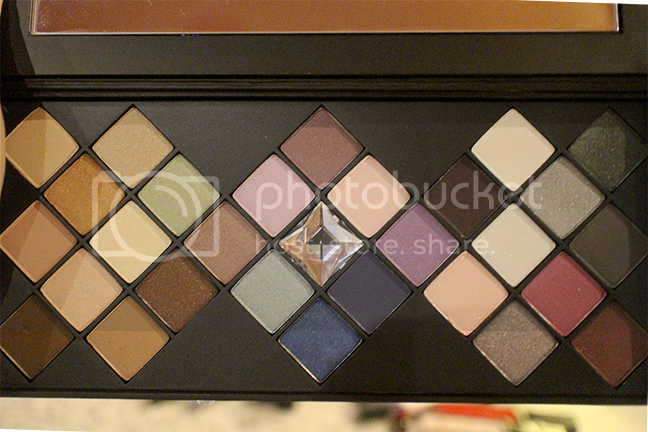 This beautiful 28-piece eyeshadow palette caused some minor shrieking when this was introduced to the bloggers last week over cocktails at Bar M.
Add a touch of luxe to any eye look with 28 party-perfect shades of best-selling, super blendable Photo Op Eye Shadows —from runway-inspired jewel tones to lush neutrals—in one seriously giftable palette! In the collection, mini versions of the cult favorite, photo finish, is included, too! Makeup always looks better with primer! Make your holiday look last from A.M. to after hours with this limited-edition set of Smashbox’s legendary primers. Includes: Full-size Photo Finish Foundation Primer & Hydrating Under Eye Primer. 12 party-perfect shades of best-selling, super blendable Photo Op Eye Shadows —from runway-inspired jewel tones to lush neutrals. What's your Smashbox favorite? Mine would definitely have to be thr brush set!